They say it takes “three points on a graph” to spot a trend. For example, if you spent $2 for a beer yesterday and $5 on a beer today and put that on a graph, it really doesn’t predict how much you’ll spend on a beer tomorrow. There are only two dots. But if there were three dots – say, $2 on the first day, $5 on the second day and $7 on the third day, well, those three dots might tell us that you’re spending more and more on beer every day. 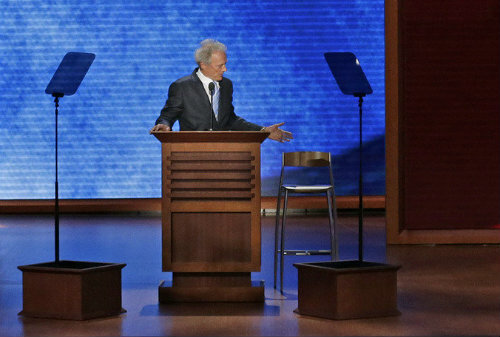 So this week we were looking at two images of recent political debates. 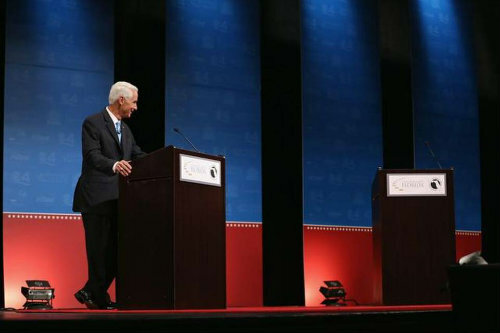 Debates that really got the attention of American voters. And we’re wondering… where is that third dot going to land on the graph?